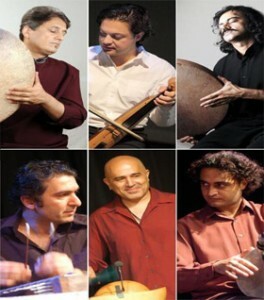 The Internationally highly acclaimed Percussion Ensemble of Zarbang will be on the European Tour in November 2012, performing concerts in differen cities of Wuppertal . Zarbang Ensemble has performed and recorded at WDR Radio and Bayern Radio in Germany and on Belgian Radio in Brussels. The ensemble has also performed at a number of major festivals including the Vorde Music Festival in Norway, Persian Music Festival in Munich, Grand Performances in Los Angeles, the Rhythm Stick Festival at the Royal Festival Hall in London, LACMA Museum in Los Angeles, Carnegie Hall in New York , Hong Kong Silk Road Festival and the Abu Dhabi Sounds of Arabia 2010.